About Us | J. Belich & Associates, Inc.
J. Belich & Associates, Inc. is a family owned and operated business. We are based in St. Petersburg, along the Florida West Central coast, well positioned to reach most parts of Florida in a matter of hours. John P. (Jack) Belich, Sr. is a retired senior corporate executive and investigative journalist for the largest newspaper in Florida. 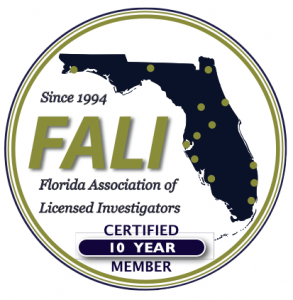 Belich holds the Florida Certified Investigator (FCI) designation awarded by the Florida Board of Certified Investigators, Inc. With over eighteen years of investigative experience, Belich is well qualified to handle all of your investigative needs. John P. Belich, Jr. is a Florida licensed private investigator with considerable experience in computer hardware and software, computer security, and computer network administration. He specializes in computer related investigations and computer security matters. Andrew J. Belich is a Florida licensed private investigator who specializes in skip tracing, internet research and operational logistics. Having worked for over five years as a security communications officer, Andrew uses his knowledge of technology, research skills and office organizational skills to keep our company on the leading edge of developing technology.